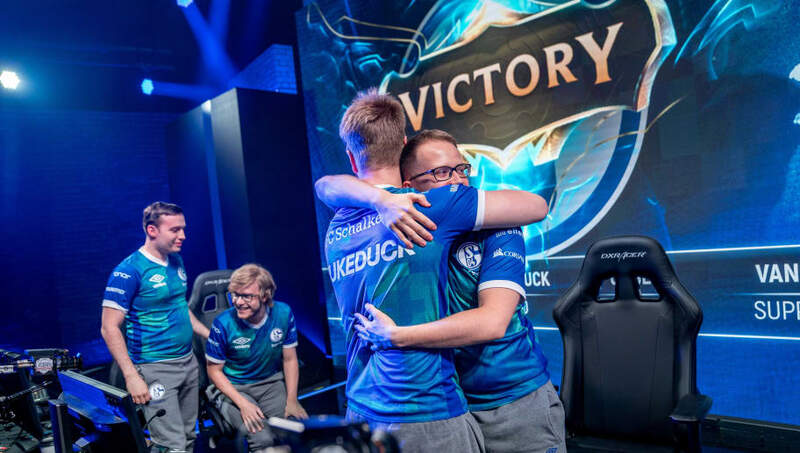 Schalke 04 Esports defeated Team Vitality 3-1 in the EU LCS summer split semifinals Friday to advance to the finals. Schalke 04 started the series strong, winning the first two games of the League of Legends series. Team Vitality fought back in Game 3 to take a win, but Game 4 sealed its fate as Schalke 04 claimed its third nexus destruction of the series. The win was an emotional one for jungler Maurice "Amazing" Stückenschneider. The German player joined the team in May after a five-month bout as an analyst for Riot Games. As the team's in-game leader, Amazing bore the brunt of the stress of competition, and after the team's win, the camera captured him crying with the release of victory. FC Schalke defeated Splyce in a tight 3-2 to move from the quarterfinals to the semifinals and is now set to play the winner of Saturday's match between Fnatic and Misfits Gaming.